Please join us for our 44th Annual Christmas Parade. 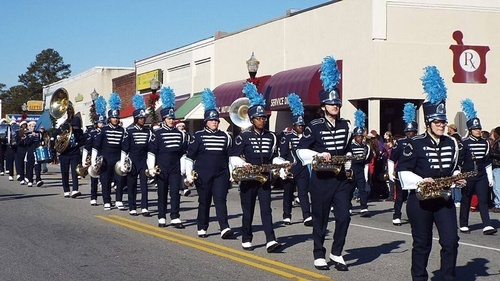 Enjoy the sights and sounds of the holiday season: high school marching bands, floats, vintage cars, and much more! Be sure to visit our Centennial House for the Christmas Bazaar immediately following the parade.